An earache might be a minor health problem, but it can become annoying. Before long, an earache can cause debilitating pain. With the right healthy remedies, individuals can treat their earache and prevent future ear pain. Garlic is one of the most popular healthy remedies for treating an earache at home. Unlike other remedies in this list, garlic can be used topically or orally. A garlic head has many garlic cloves, usually from 10 to 12 cloves depending on the size and type of garlic you have bought. As a preventative treatment, individuals can eat a clove of garlic each morning to prevent an ear infection. This helps because garlic has antimicrobial, antifungal and antibiotic properties. It has been used for hundreds of years to treat infections. By using it orally, individuals can prevent the infections that cause an earache. For a current earache, garlic is an easy option for earache home remedies. Put two or three garlic cloves in the oven. Add two tablespoons of sesame seed oil or mustard. Stir and cook the mixture until it turns slightly brown. Then, strain the mixture. Use a dropper to apply one or two drops in each ear. For an easier option, individuals can peel a clove of garlic. Squeeze the clove of garlic above the ear until several drops fall into the ear canal. The antibacterial properties of the garlic will immediately start to take effect. One of the easiest ways to treat an earache is with heat. Using some common household items, individuals can reduce the inflammation in their ear. An electric heating pad can be applied to the ear for about 20 minutes. If a heating pad is not available, a hot pack or hot water bottle can be used instead. Before long, the heat will start to reduce the pain and inflammation within the ear. If other options are not available, individuals can always use a washcloth. Dip the washcloth in hot water and wring it out. Afterward, apply the washcloth to the painful area. The washcloth and heating pad should never be too hot. In addition, individuals should make sure that they do not fall asleep while they are using a heating pad. Children should never use a heating pad without adult supervision. For more effective results, individuals should use the hot pad on their neck and throat as well. Onions are an amazing way to fight infections and aches. While they are not a substitute for actual medical care, they can help reduce pain. An easy way to use onions is to heat the onion in a microwave. This will cause some of the liquid to seep out of the onion. Strain out the liquid and put it into a dropper. Use the dropper to apply several drops in the ear. It helps if the individual lies on their side for about 10 minutes with the treated ear facing upward. After the 10 minutes is up, they can turn to the other side and treat the other ear. Another onion alternative is to create ear muffs. 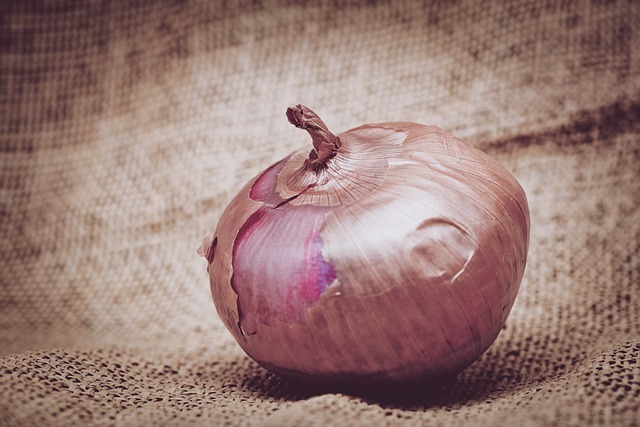 The warm onion can help soothe the pain while the onion's vapors ward off the infection. To make onion ear muffs, slice an onion in half. Scoop out the interior layers until just two or three rings remain on either half. Then, heat the onion for about 15 minutes in the oven. The temperature should be at about 300 degrees. Once the onions are warm and producing a little steam, remove them from the oven. Each onion half should be wrapped in a clean towel. Then, cup the onions over the infected ear. This treatment can be repeated as often as necessary to treat the pain. If onions are unavailable, individuals can use goldenseal and echinacea to make a healing remedy. Echninacea is known for boosting the immune system and helping the body to fight off illnesses. Meanwhile, goldenseal helps to dry out any fluid that is in the ears. A dropper filled with each tincture should be mixed into ¼ cup of water. Then, this mixture can be consumed every three hours. It is important to read the directions on the supplement bottle before using it to make sure that the proper amount is used. The cold is just as useful as heat to treat earaches. Coldness helps to draw inflammation out of the affected ear. By doing this, the individual can reduce the pain in their ears. To use cold to treat an earache, individuals can freeze a cold pack and cover it with a light cloth. The cloth helps protect the ear from getting too cold. Next, apply the pack to the ear and the area underneath the ear for about 20 minutes. If a light cloth is not available, paper towels should work just as well. The cold should never be so bad that it hurts. Ice should never be applied directly to the ear. Once the cold treatment is finished, individuals can make it easier for their ears to drain. Using an extra pillow while sleeping lifts the head. This helps the ears to drain and will reduce the pressure. Earaches are caused by inflammation and a build up of fluid in the ears. The increased fluid increases pressure and causes pain. To reduce the pain, individuals can try massaging the tender area. Ear pain can radiate to the teeth and jaw. In some cases, it may cause symptoms similar to a tension headache. To relieve the pain, massage the muscles of the jaw and neck. Massage around the ears. Start by using a downward motion and apply pressure just behind the ears. Work from the ears down to the neck. Gradually, the individual should massage forward to the front of the ears. By massaging the ears, individuals help fluid drain from the ears. This helps to prevent future pain and alleviate a current earache. Healthy remedies can alleviate or eliminate an earache. As always, it is important to seek out medical care for any ongoing symptoms or pain. In the meanwhile, these remedies can help reduce pain and inflammation. 6 Natural Remedies for Colds and Flu That Works Like Magic! Benefits of Raspberry Leaf Tea: Brings Out the Best for You and Me!